China may have unwittingly triggered an ESG global trade war on the waste disposal front in 2019 following its ban on the importation of 24 kinds of solid waste. The ESG (environmental, social and governance) trade war is now being fought between the biggest exporters of recyclable plastic waste, led by the US, and the biggest importers, led by China. 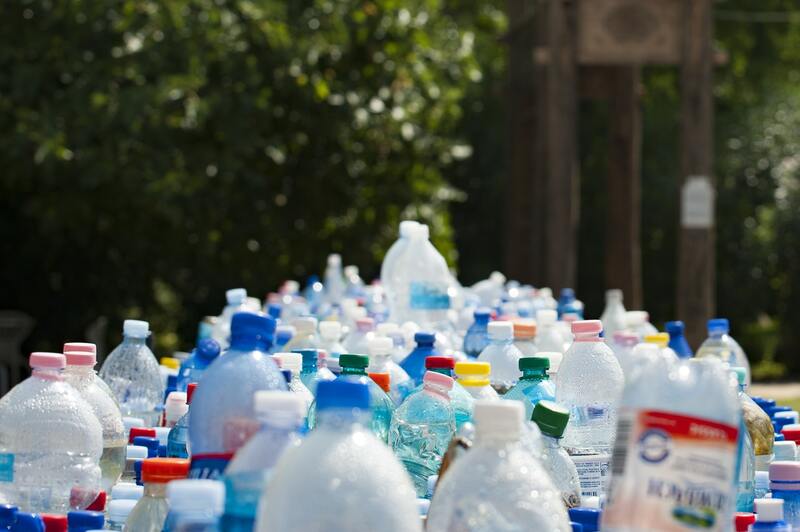 The US - along with the UK, Germany, Japan and Mexico - is one of the biggest exporters of scrap plastic to China, according to data from the US census bureau. In the wake of China's decision to ban the importation of 24 kinds of solid waste in January 2018, exporting countries are now scrambling to find new markets that will take in their waste, a dash for disposal that has triggered similar waste import bans in Thailand and Malaysia, according to the 2019 ESG Trends Watch published by MSCI ESG Research. Immediately following the implementation of China's ban, imports of plastic trash increased by 56% in Indonesia, 100% in Vietnam and 1,370% in Thailand in the first half of 2018, according to MSCI. The momentum to restrict waste movements continues into 2019, with more countries now considering similar restrictions to stem the importation of waste material to their domestic markets, including European nations such as Turkey and Poland. "Previously, countries that couldn't repurpose or handle their own garbage exported it to other countries, mostly in Asia. China, for example, together with Hong Kong, was importing an estimated 70% of the annual waste produced globally since 1992," according to Linda-Eling Lee, global head of ESG Research, MSCI and Matt Moscardi, executive director, ESG Research, MSCI, who co-authored the report. The good news is that major trash-exporting countries are expected to continue to curb their waste production with new regulations. The bad news is that such regulations are expected to cause disruption in many industries in 2019. Among the industries to be impacted are the restaurant industry, food and beverage manufacturers and the packaging sector. MSCI also identified as many as 12 relevant industries potentially exposed to malfeasant rubbish, including agricultural products, office services and supplies. "In 2019, we anticipate this disruption will change the global regulatory landscape, forcing companies to grapple with waste reduction not as a marketing priority but a significant business challenge," says Lee and Moscardi. At present, plastic is one of the most-produced manmade products in the world. An estimated 8.3 billion metric tons of virgin plastics (synthetic organic polymers) have been produced in the past 70 years, 79% of which has accumulated in landfills or the natural environment, according to MSCI. Meantime, MSCI also expects that regulatory developments will escalate around ESG investments, rather than ESG disclosures, with 2019 being a year to play catch up, as measures governing investors' roles and duties compel the development of investment policies that address ESG more holistically as an investment-relevant risk. Of the more than 170 regulatory or quasi-regulatory measures proposed in 2018, 80% of them target institutional investors, not issuers. While private assets like real estate may be the tip of the spear that will inevitably be impacted by climate in the next decade, MSCI expects that eventually all assets may have to be judged by the potential impact of climate change. "It will become increasingly important to know how to extract the most relevant signals from a proliferation of ever-bigger data to achieve better-differentiated investments objectives. ESG ratings today serve as a common language for measuring the long-term resilience of companies and their ability to manage emerging ESG risks and opportunities for a growing number of investors," says Lee and Moscardi. "The most successful investors will be those who recognize that they have an advantage only if they have a clear view and construct a signal to match," adds Lee and Moscardi.